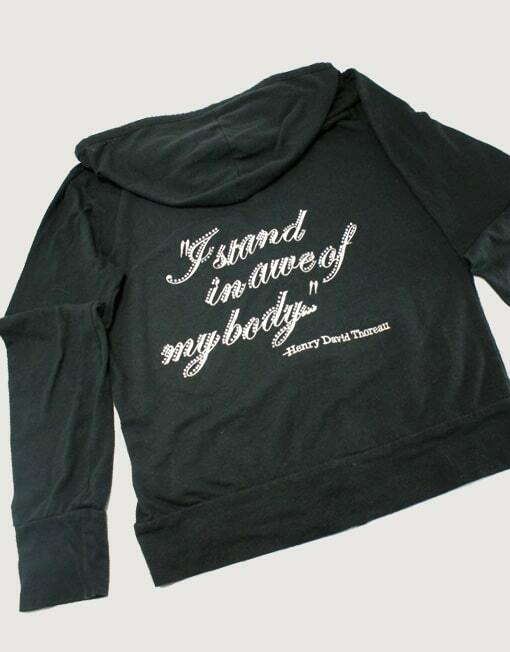 Wear this beautiful jacket with embroidered quote, that lets you proudly remember and declare the AWE-SOMENESS of your one very precious body. Order one size up from your “normal” size for an awesome fit. 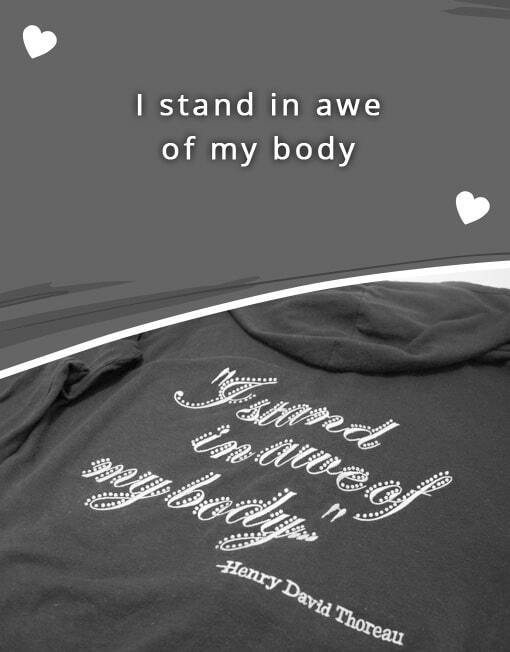 Enhancements: Embroidered quote with hand placed sparkling rhinestones. This is me, proudly remembering and declaring the awesomeness of this body at the body building competition and how it showed up for me!